i'm not a big time holiday or season decorator. what i have up is what i have up all year round, usually. except for a little something here and there. 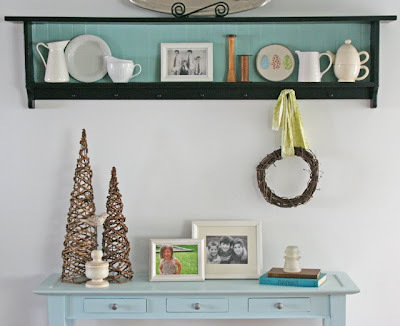 well here's a tutorial to add a little something springish to your home. 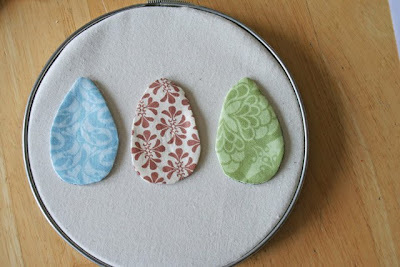 oh and i'm going to show you how you can use old dryer sheets to make it happen. a metal hoop. or a wood one will be just fine as well. dryer sheet that's been used already in your dryer. 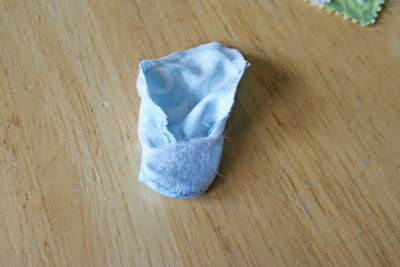 so your dryer sheet right as it comes out of the dryer is probably really wrinkled. take your iron to it. but make sure you get a dish towel in between your dryer sheet and your iron. i'm not sure if it would melt it if you did it straight on, but i didn't want to learn that lesson. next you are going to want to draw your egg on a piece of paper. i didn't do a pdf on this thinking that an egg is kind of easy to draw. but if enough of you complain that you need a pdf drawing of the egg i'll load it up and make a link. if not then lets move on. with a sharpie i traced my drawn egg onto my ironed dryer sheet. originally i was going to do a small egg and a big one, but i changed my mind so please ignore the big egg in these two pictures. pretend it's not there. like the man behind the curtain. 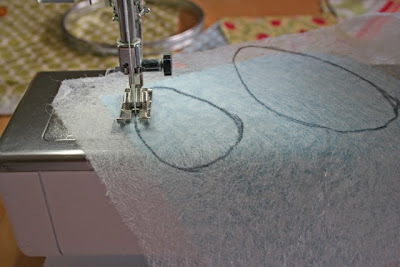 sew on your drawn on line. 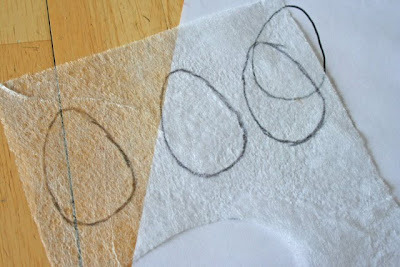 cut out your egg and then slit a small area of the dryer sheet. preferably in the middle of your egg. and use the slit to turn it inside out. next you are going to press your egg with an iron. i made three eggs this same way. next you are going to applique on your eggs. 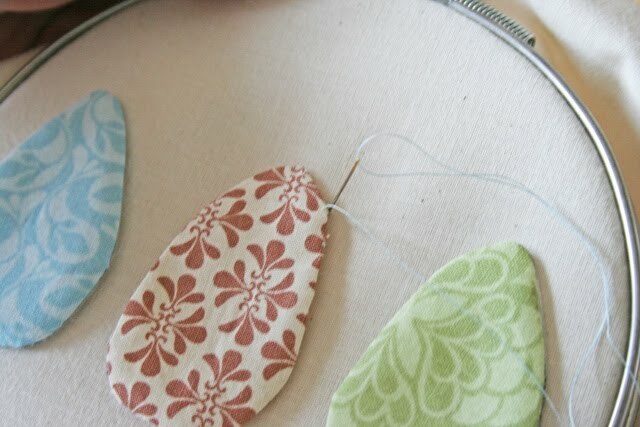 to applique, you will start with the middle egg. come up from the back as close as you can to the edge of the egg. and then come up through the very side of the egg. next you are going to go down directly underneath of where you came up through your egg. and you are going to do so around your whole egg. 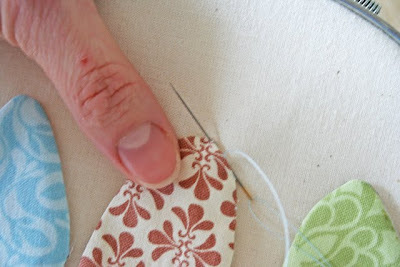 make sure you sew right at the edge of your fold, this will make your stitches invisible. uh that last egg looks like it had a few issues. mainly for the fact that i had a squiggly 3 year old on my lap wanting to help. well, it adds character. and my daughter got to help. and now it rests in my hallway shelf. except that after taking this picture i think i'll move it to the other side so there's a little more color on that side. i made katie a new dress. for spring. so she will have to wear a sweater till the snow finally decides to give us a break. so like june or something like that. hmmm okay well HAPPY MONDAY. come wednesday we will have another guest tutorial blogger. EXCITING! v and co loves her sponsors! check out this adorable monkey at terrace hill! That's awesome! 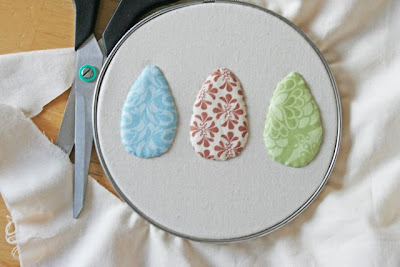 I'm definitely adding this appliqué technique to my to-try list! Thanks for the tutorial! love that shelf. the new addition to it looks great! What a great idea to use a dryer sheet! 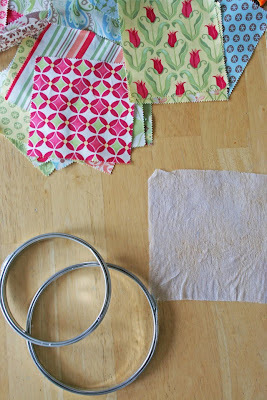 I always use muslin or waste some fabric--this is so much better! I love your great ideas! this is great tutorial, thanks for sharing. Brilliant!! 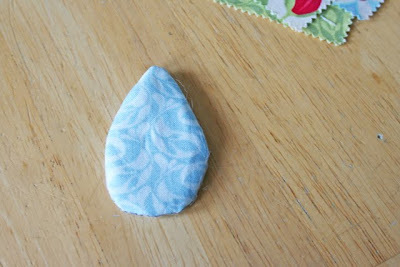 I've always used some sort of unwanted, throwaway fabric, but the dryer sheets look to be a much better idea! hey...that hallway is looking good. Terrific idea! Thanks! I had been saving mine but wasn't sure what I planned to use them for, now I know!! I love to applique but I get burned out easily. I've tried every technique and nothing really makes it easier for me...I usually just go back to needle turn. I'm so going to try this. I think it's just what I need to keep the needle turn frustrations beat. Thanks so much for sharing this good idea. Holy moly that is brilliant. I adore trash to treasure projects! Very cute eggs. 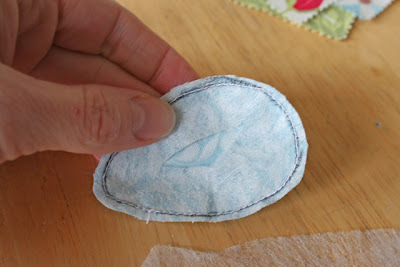 I love using the dryer sheets for applique. It almost makes me want to do more laundry!!! Great idea! Very festive for spring but still subtle. I love your hallway decor! Well aren't you the most clever person every??? Awesome toot! You're so green and crafty - you're like the recyclops, but with two eyes. And you don't work at Dunder Mifflen. And you don't blow up things. Do you wear a cape when you craft? You really should if you don't. Love the dress - what is the fabric? Did you use a patter? Super cute! Love this tutorial, genius! And the dress is adorable. I love it. Those eggs look great. I love simple decor ideas. So cute. I had no idea that was possible. For years I have wondered what I could do with dryer sheets besides tossing them. (And you think YOU need to get out more!?) What a great idea! Thanks. Please tell us more about the dress. Darling! Umm, What is a dryer sheet? Thank you, I think I could do that, well maybe, The dress is just darling!!! V...love the tutorial. I wanted to give you a tip about dryer sheets and irons. 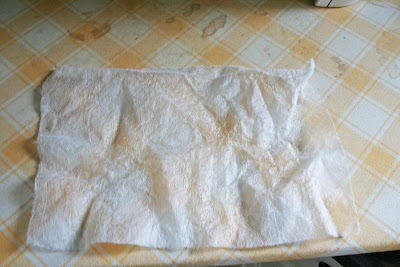 If you've ever used iron on fusible web or anything that "dirties" up your iron, dryer sheets are the BEST!!! I don't remember where I heard it but what you do is get the iron hot, then turn it off, use a new dryer sheet to carefully clean your iron. Carefully, because you don't want to get burned! It really shines it up nice and you have a clean iron that will not leave anything "icky" on your beautiful fabric or clothes! Have an awesome week! Dryer sheets? Really?! Who ever figured that one out was a genius. I can't imagine even thinking of using them! And the new dress is adorable. LOVE the green. 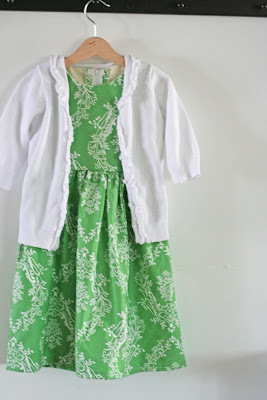 My girls closets are spilling with dresses, but now I really want to make a green one. Question. I have been trying to find where you put a link to the camera you use and I can't find it! Can you guide me? I want a new camera REAL bad, and need to test the waters and see which ones are the best. Love the dress, and thank you for the tutorial! Too stinking cute! Thanks for the awesome idea!! What a great idea! I assume it would work for circles too? I'm going to bookmark this for future reference. So pretty. Simple and small but it makes a big statement. You are endlessly creative! Sheesh...what can't you think up? I love that you reused trash. Jeez that is SO resourceful! What a great idea! I’ve seen it snow here in JUNE! This time of year I always feel a since of despair as if it’s never going to end. Where is spring? It’s getting harder and harder to find the beauty in the fluffy white stuff. Crack is Whack... Snow is Old! And there you have it. I also think its past my bedtime. I'm going to be linking this on my blog www.ikeandella.blogspot.com for our Trashy Thursdays! Great idea! I love love the sweet eggs !! and the display shelf! I might have to make them!! I will shout you out if I do!!! 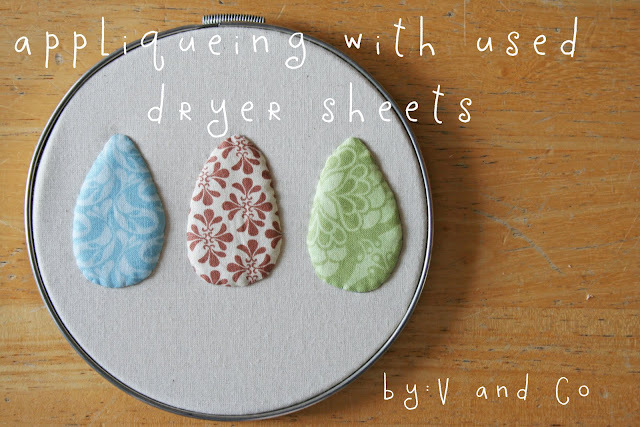 I used to save those dryer sheets to dust with (which they are great for, btw.) 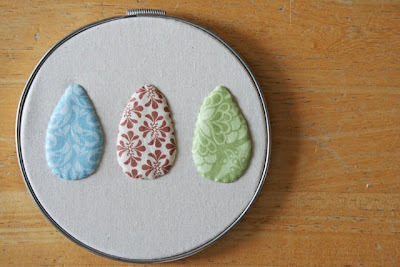 NOW-I'll be saving them for applique! Thanks for the great tutorial-I'm awed!